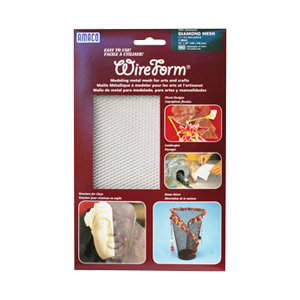 Amaco WireForm is a specially manufactured metal mesh that is pliable enough to mold, yet sturdy enough to add structure to clays and modelling materials including AMACO® Sculptamold®. 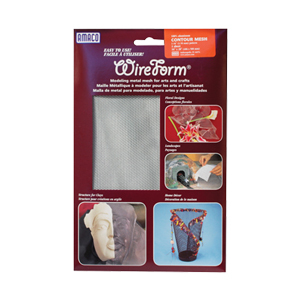 WireForm is perfect for the many modelling and sculptural design challenges facing artists, crafters, architects, and students. 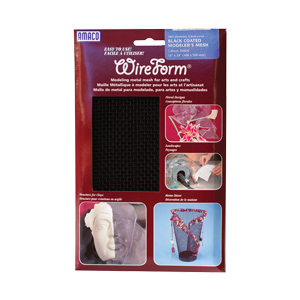 A flat piece of WireForm® easily transforms into three-dimensional shapes by simply molding, crimping, twisting, expanding, and gathering. 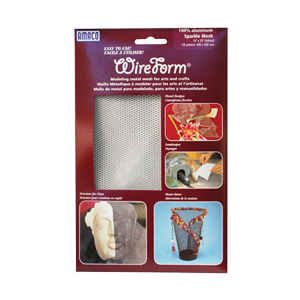 Amaco WireForm® is available in a selection of expandable and woven metal mesh patterns, designed to provide a wide variety of art, craft, and model-making options. 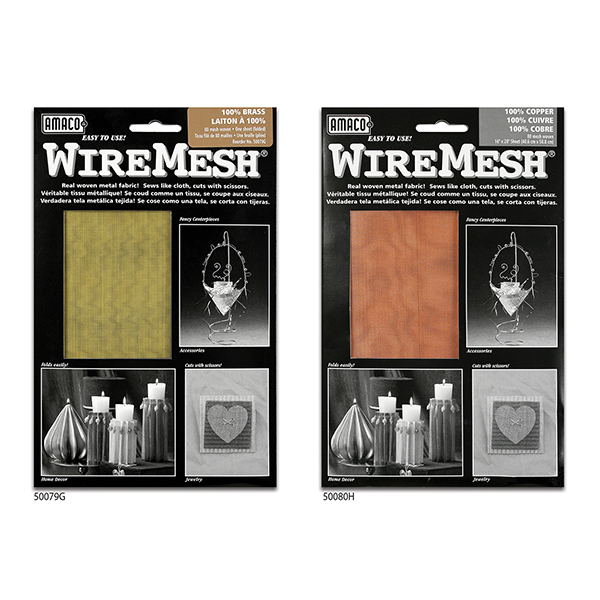 The expandable mesh is made from specially manufactured metals that give it incredible flexibility and strength. Its unique raised diamond strands expand to form three-dimensional shapes. Because it can stretch into tight contours and shapes, it is ideal for detailed projects and delicate crafts.